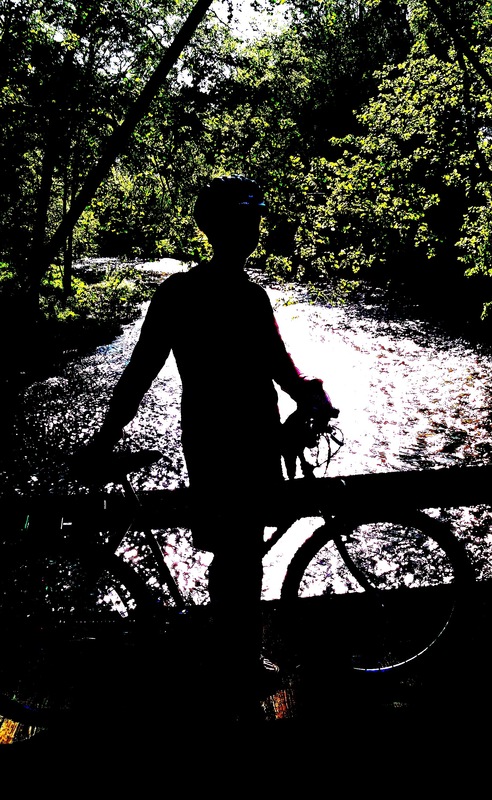 For recreational opportunities, Clear Fork clearly rivals the rest of the Mohican River. The lower Black Fork and mainstream of the Mohican — officially recognized as the canoeing capital of Ohio — draw more visitors during tourist season. But, mile for mile, Clear Fork offers a wider variety of activities and attractions. Meandering more than 36 miles from Ontario to Loudonville, Clear Fork boasts a reservoir, a lake, a gold prospecting camp, hunting, trout fishing, two dams, two ghost towns, a morning glory spillway, a state park and lodge, paved bike path, campgrounds, a state forest and assorted landmarks. The latter includes the Mohican State Park covered bridge and the Clear Fork Gorge Overlook, known for its spectacular view of the forest and river valley. A shallow stream for the most part, Clear Fork also offers limited — but very rewarding — paddling opportunities. This will be covered in a subsequent article. Add to the list of the Clear Fork’s attractions a city park. Although that might be a bit of a stretch. 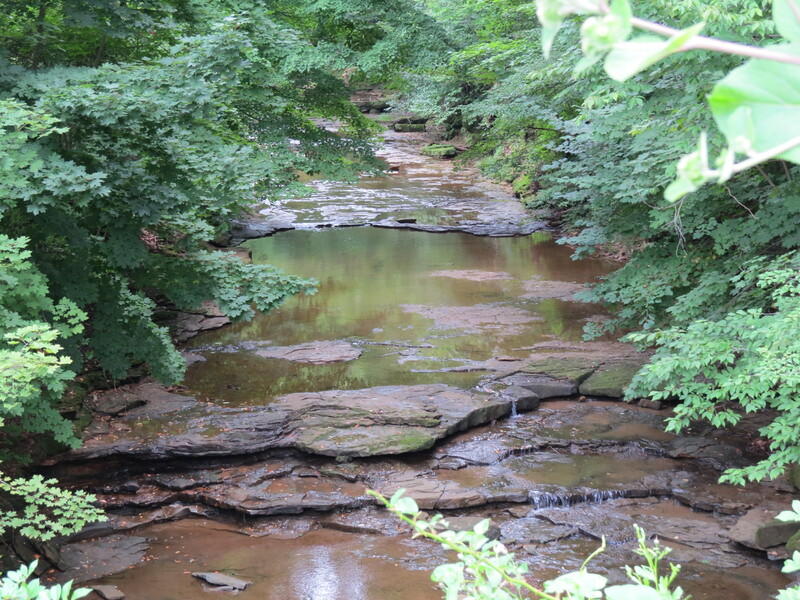 Most people using Marshall Park in Ontario probably don’t realize that the rock-lined ditch running along Cal Miller Lane is Clear Fork of the Mohican River. Clear Fork originates at the outlet of a small pond north of the park. 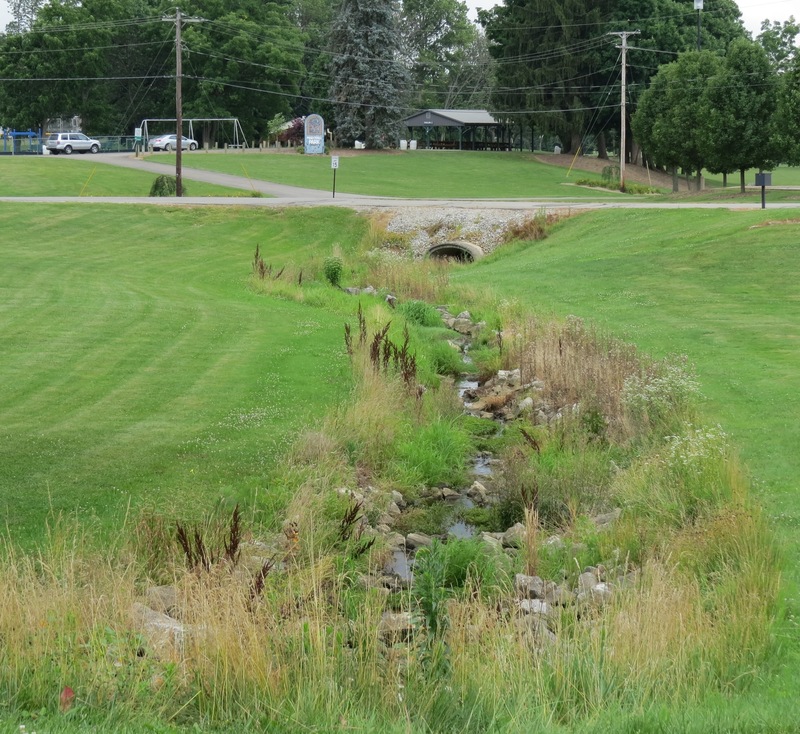 However, the pond provides only a trickle of water, which doesn’t go anywhere until heavy rains fill a network of stream beds feeding the intermittent creek that is the beginning of Clear Fork. By the time Clear Fork reaches Lexington Ontario Road, it’s no longer intermittent. It gradually grows wider and deeper, though not much, as it winds through a wide valley to where it is impounded by Clear Fork Dam. The dam was built in 1949 to create a reservoir for the City of Mansfield. The 997-acre reservoir reaches depths of 40 feet and has 14 miles of shoreline. It offers a variety of recreational opportunities including fishing, hunting, boating, hiking, bird-watching and camping. Like Charles Mill Lake, an impoundment of Black Fork, the reservoir serves as a stopping-off point for migratory birds, including species not commonly seen in this area. The same is true of Pleasant Hill Lake further downstream. Clear Fork starts to look more like a river where it crosses Lexington Ontario Road for a second time north of Lexington. Just downstream from here is the old Lexington Ontario Road bridge — now a private driveway off Cockley Road. A cast-iron plaque mounted on the structure above its wooden deck lists the year it was built — 1915 — and the names of the county commissioners and county engineer at the time. This is one of several iron truss bridges spanning Clear Fork. These older-style bridges add to the river’s rustic charm. The Richland B&O Trail crosses paths with Clear Fork at Lexingon Park and they continue on parallel paths for nearly 12 miles. The 14.8-mile recreational path is shared by bicyclists, pedestrians, inline skaters and others — pretty much anything without a motor — and runs from North Lake Park in Mansfield to Butler. Gatton Rocks, a well-known landmark locally, can be found just upstream of Butler. Sandstone outcroppings jut out from a forested hillside on one side of the river, creating a picturesque backdrop. Along this stretch is one of several swimming holes popular with the locals in the summer months. In the Gatton Rocks section — specifically between Stoffer and Cutnaw roads — is one of two places on Clear Fork stocked with brown trout. The other stretch is below Pleasant Hill Dam. Both are popular fly-fishing spots, particularly in October when the Ohio Department of Natural Resources releases about 10,000 fingerling trout. 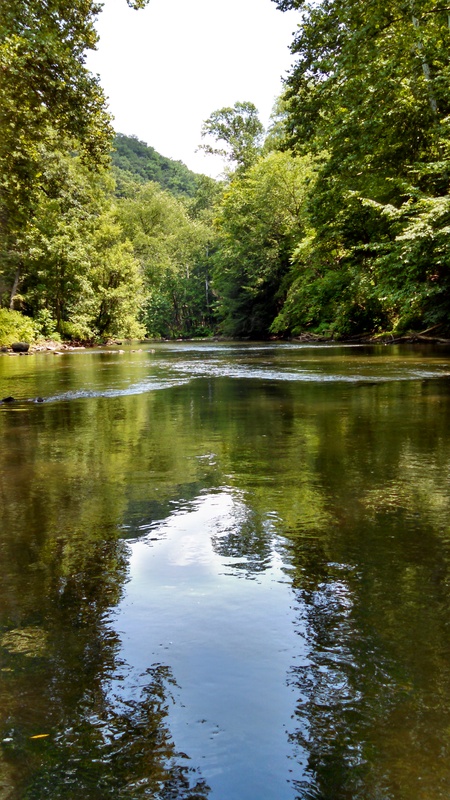 Clear Fork’s rock, gravel and sand bottom — along with a natural meander and succession of riffles and pools — makes it one of the highest-quality fishing streams in the state. Anglers working the Gatton Rocks stretch might find themselves sharing the river with prospectors panning for gold. Downstream of the Cutnaw Road bridge is a one-mile section of river known as the Swank Claim. The Gold Prospectors Association of America has established a primitive campground there on leased land where members can stay and pan for gold. The small pieces of gold were among the rocks and boulders pushed down from Canada by glaciers. According to information posted on a GPAA Website, one gold nugget panned in the Swank Claim was valued at $50,000. Between Clear Fork Reservoir and Pleasant Hill Lake, the river flows through five towns — two of which have vanished from the face of the earth. Lexington, Bellville and Butler are still alive and kicking, but Newville and Helltown Indian village are ghost towns. Seems that Newville was ill-fated from the start. The village was established in 1823 in the vicinity of what is now Pleasant Hill Road east of State Route 95. The founding fathers had hoped it would thrive and become the Richland County seat, but that was not to be. Railroads were the key to prosperity and the B&O and Pennsylvania railroads bypassed Newville, opting to run their tracks through Butler and Perrysville respectively. 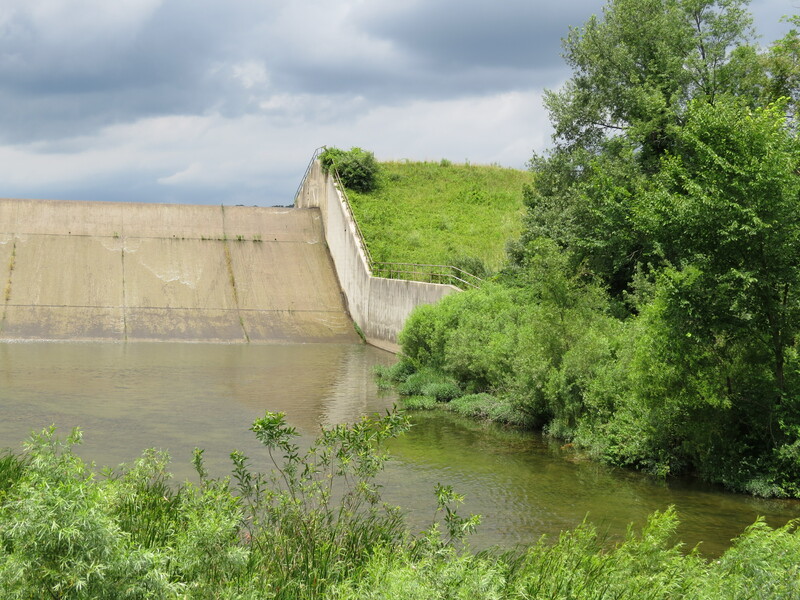 When the U.S. Army Corps of Engineers built Pleasant Hill Dam in the mid 1930s, the project designers wrongly believed that the lake it created would back up to the village. The buildings were razed or moved to higher ground and the villagers relocated. Helltown also was destined for oblivion. Located further downstream, it was named after the river. The name was derived from “hell,” a German word for “clear.” The inhabitants abandoned the village in 1782 and scattered after learning about the massacre of Moravian Indians at Gnadenhutton. Some of the residents, primarily Delaware, went on to establish Greentown Indian village along Black Fork north of Perrysville, which was mentioned in a previous article on that branch of the Mohican River. Pleasant Hill Lake is popular with anglers and power boaters. With 850 surface acres and 13 miles of shoreline, there are plenty of places to fish for bass and other species of game fish, including an occasional muskellunge. However, even on a still day anglers can count on the water being choppy because there is no horsepower limit on the lake. During the summer months, it’s abuzz with jet skis and powerboats. The high-octane boating activity is concentrated on the eastern part of the lake toward the dam, where the water is up to 40 feet deep. Things tend to be quieter on the western end of the lake, which is designated a no-wake zone. 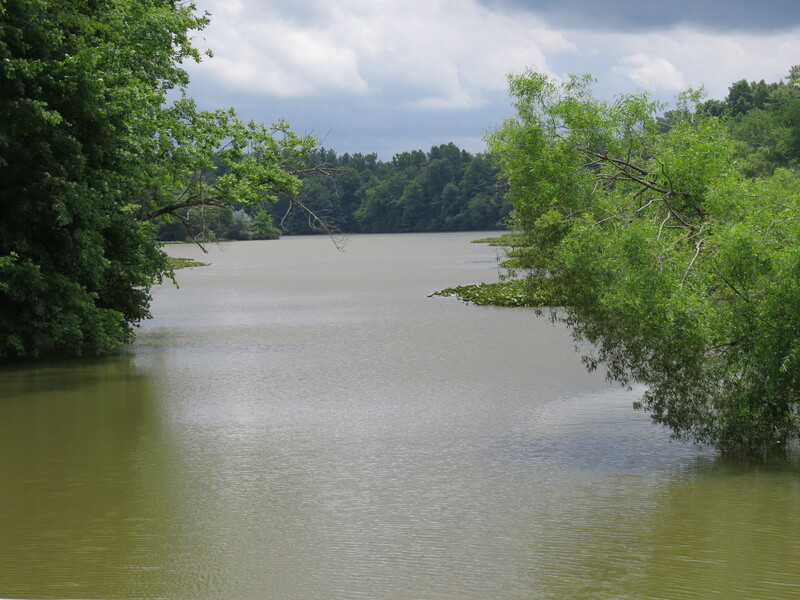 The Muskingum Watershed Conservancy District owns and operates Pleasant Hill Lake Park, which offers camping and other recreational activities. The lake was formed by the construction of Pleasant Hill Dam. It’s one of 14 built in the mid 1930s by the U.S. Army Corps of Engineers in response to chronic flooding along the Muskingum Watershed. The dam’s claim to fame is its morning glory spillway, another popular landmark. Morning glory spillways are also known as bell-mouth spillways, shaft spillways and by other names and can be found around the world. They often function as an uncontrolled method of draining off lake overflow. That’s not the case with Pleasant Hill Dam. The lake level is controlled by a set of gates housed inside a structure next to the spillway and accessed from the dam by a narrow bridge. The Pleasant Hill spillway would act as an overflow device in case the lake were to reach 1,065 feet above sea level. It never has. In fact, the water level has never breached any of the spillways on the Muskingum Watershed’s 14 flood control dams. The pool of record for Pleasant Hill Dam is 1,044.01 feet set on Jan. 23, 1959. Note — It was later brought to my attention that Wills Creek Dam, on a tributary of the Muskingum River, overflowed its spillway by 0.36 inch in January 2005. Clear Fork saves its best for last. The scenery is nothing short of spectacular in the 4.8-mile stretch between the dam and the confluence of Black Fork. This is where the river flows through Clear Fork Gorge, which is known for its diverse flora and fauna. It’s easy to see why this section was included when the mainstream of the Mohican was designated a state scenic river in 2006. In this stretch, Clear Fork flows through a steep, 300-foot-deep gorge lined with mature pine and hardwood forests and sandstone outcroppings. Most of this section is within the Mohican Memorial State Forest and flows past the primitive and main campgrounds of Mohican State Park. 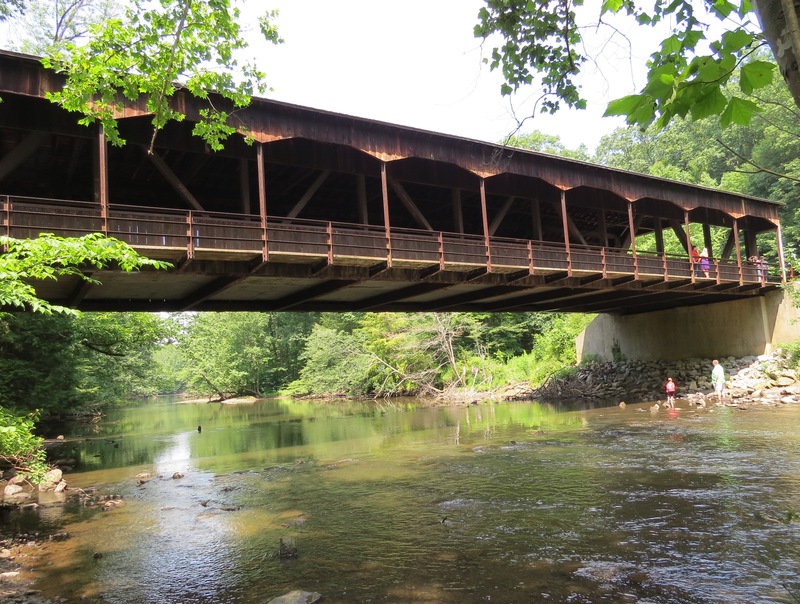 Clear Fork’s most popular landmark, the Mohican State Park covered bridge, spans the river a little less than a mile downstream of the dam near the primitive campground. The bridge was designed by Loudonville resident Stan Pace and completed in 1970. Work began two years earlier. The1969 flood damaged one of the trusses during construction, but not beyond repair. According to Loudonville historian Lee Cavin, it replaced an iron truss bridge that originally spanned the river upstream of where the dam was built. That bridge, which was not covered, was dismantled by Civilian Conservation Corps workers and reassembled at what would become the site of the covered bridge. Pace’s design incorporated walkways on both sides of the covered bridge where pedestrians could be segregated from traffic and enjoy a clear view of the river. The bridge links trails on both sides of Clear Fork, including one that leads to Lyon’s Falls, another area landmark. Toward the end, Clear Fork emerges from its idyllic setting and is quickly absorbed into Loudonville’s tourist Mecca. For the last mile and a half, it flows through the Mohican State Park main campground, under Ohio 3 and arrives at the confluence of Black Fork — and the canoeing capital of Ohio.